The slow build up of static charges is an insidious problem that undermines the performance of all audio and AV systems, ﬂattening perspectives, dulling colors and inhibiting dynamics. Like a lot of problems that are out of sight, for most audio and videophiles, static is also out of mind. We all know it's there but we either ignore its impact or simply give up on dealing with it as "too difﬁcult." Nordost has been aware of this problem for many years, primarily in terms of the surface affects of static build up on cable performance. To combat this, we developed Eco 3X anti static treatment, a ﬂuid that can be wiped on the surface of cables to disperse existing static charge as well as inhibit future accumulation. The effects are easily heard, with a dramatic increase in the sense of life and presence, greater transparency, wider dynamics and richer colors. However, the benefits of static dispersal aren’t limited to cable performance. Plastics in general (laminate surf aces on shelves, acrylics, plastic cones on drive units) all beneﬁt from the application of Eco 3X. TV and computer screens deliver sharper deﬁnition, better color saturation and increased depth. 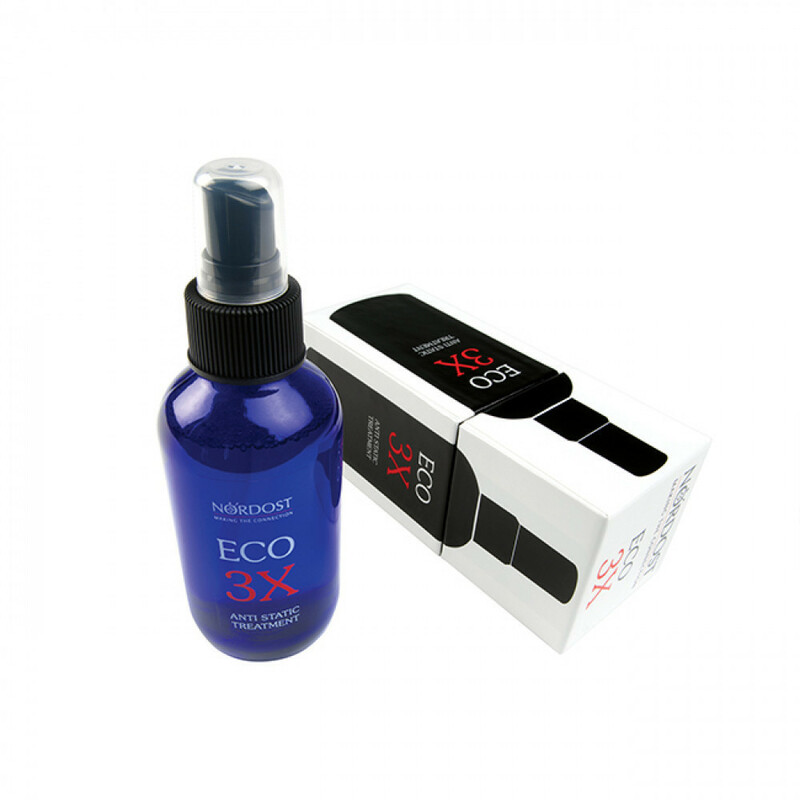 But our favorite application is on optical media; CD, SACD, DVD and BluRay discs are all significantly improved by the application of Eco 3X. This is one of the easiest and also one of the most effective demonstrations we have found, one that really shows just how indispensable Eco 3X is in any high performance audio or AV system.